Create unique images quickly for your paper crafts! Apply to any acrylic block and stamp. 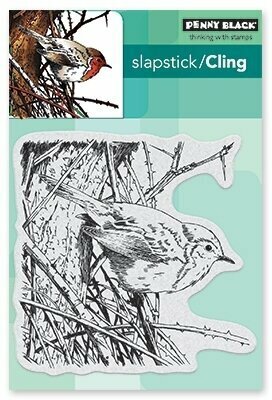 This package contains Assorted Feathers: 12 clear stamps on one 6x4 inch backing sheet. Botanical Feather Cling Rubber Stamps Just Add Color Collection by Stephanie Low is a beautiful cling foam (EVA) rubber stamp that will enhance your projects to the next level! Designed to be used with an acrylic block. Just Add Color Collection by Stephanie Low gives you fantastic detailed floral designs. Just Add Color to customize projects by using markers, paints, color pencils and more to bring them to life! Approximate Size: Leaf Frond: 0.80 x 1.35 in. 2.00 x 3.50 cm, 3 Leaf Fronds: 2.30 x 1.70 in. 5.70 x 4.50 cm, Blooms: 2.70 x 1.80 in. 6.70 x 4.60 cm, Feather: 4.30 x 1.55 in. 10.90 x 3.90 cm. Clear stamps from Brutus Monroe featuring a Native American theme with a dreamcatcher and feathers. Cling stamp from Carabelle Studio featuring feathers. A single peacock feather, this image can function as background, focal point, or both. Elegant with embossing powder, particularly our Kaleidoscope. Image measures approximately 1-3/4" X 4". This original design by Fran Seiford is deeply etched and precision cut from premium gray rubber on a 1/8" gray rubber foam backing then mounted on a premium American hardwood handle with decal image on top. Made in the USA.